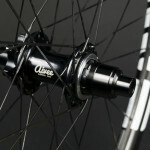 If you’re looking for a wheelset that offers confidence on the downhills but is lightweight enough to pedal uphill all day check out this setup of Aivee hubs, Enve rims and Pillar spokes. Built for our Pivot “XXTR” bike this wheelset received a little special treatment to trim a few grams. 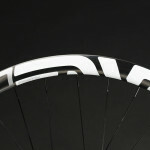 Enve rims for their signature performance and style. 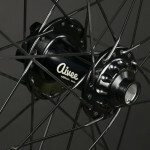 Aivee Edition One hubs, the perfect balance of durability and simplicity. Pillar Ti spokes to trim off a couple extra grams. Sleek looks with a dash of confidence and whole lot of character. Is that weight right? 1089g? That is insanely light! No the original listed weight was a typo. The actual weight was 1289 not 1089. It is possible to go lighter for example using the Extralite hyperhubs would drop a little more than 110 grams getting it down to around 1180 grams. How much lighter could you go? Let’s assume it’s for a fat (180lb), clumsy moron whose few riding skills have atrophied over the last couple decades (which I may or may not resemble). For a 5″ 27.5 trail bike.